Not To Miss is a bi-monthly column dedicated to all things music related that might have fallen through the cracks. Here’s our Best of 2017. 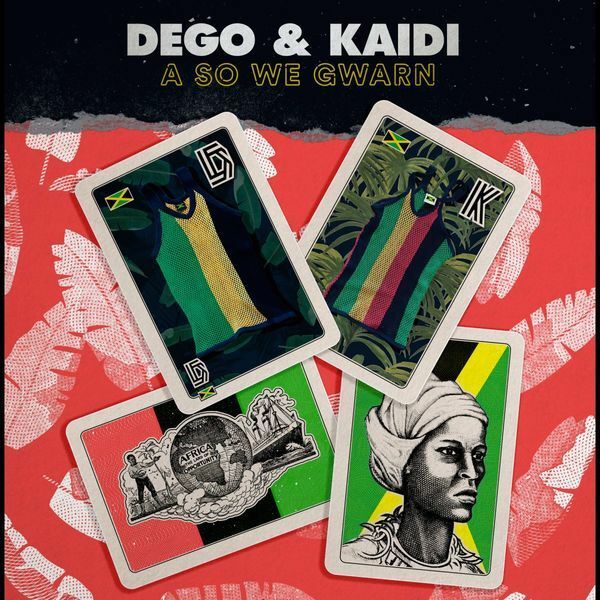 Almost twenty years in… Dego and Kaidi Tatham release A So We Gwarn on the Theo Parrish’s Sound Signature imprint to solidify their ambassadorial status as master creators and designers of what is universally known as “broken beat.” This long player is rooted and based in funk, soul, hip-hop, and jazz. But gently enhanced and propelled forward in contemporary forms. The charismatic sounding “Me Soon Come (Africa)” stands as the template for the layered complexity and charm of this genre. Rhythms pushing and pulling in odd time signatures, warm jazz chords, and slight dashes of passing sound patches. All acting and reacting to a bass line that tells its own story. While it remains important for the second wave of “2000 Black” fans to understand that this music, which some call “London Boogie” or “British-Jazz-Funk,” IS actually genre-defying music from the African diaspora. To assure the message does not get lost or “reinterpreted,” we still have two of the main creators. Getting better in the production booth with acquired wisdom, to instruct the jam. 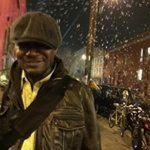 In the hands of inferior talent or unseasoned musical chops, the prospect of constructing an eleven track “début” release that encompasses seriously deep jazz-fusion, “progressive soul,” R&B, and pop…well it could have some structural issues. Just for starters. 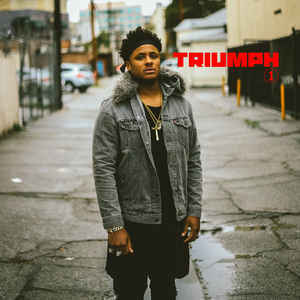 Ronald Bruner Jr, a drummer and so much more, showcases his precise comprehension of the aforementioned genres by delivering all the complex sides to his musical being on Triumph. It’s a welcoming multi-hybrid jazz fusion record that remains unapologetic for an adventurous spirit. Melina Duterte, aka Jay Som, wrote, recorded and produced her career breaking “Everybody Works” in her Oakland bedroom during three “heavily caffeinated” weeks in 2016. 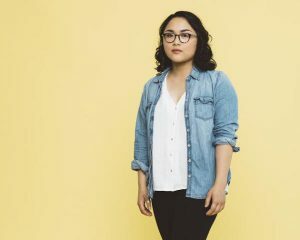 Duterte’s reserved vocal positioning, scattered among the versatile genre-verse that she chooses to peruse…dream-pop, shoegaze, acoustic-folk, slinky R&B leanings…makes Everybody Works a ten-song traverse that casts a mature shadow far beyond her twenty-something age. The overall conviction in her lyrics of acknowledging how to figure out the everyday musings that make all of us human…sustainable working situations, relationships, and feelings. Anyone with a pulse can connect. In an alternative universe, Stephen Bruner aka Thundercat could have mapped out a pretty linear and successful career as an incredible jazz bass player in the vein of Stanley Clarke or Jaco Pastorius. 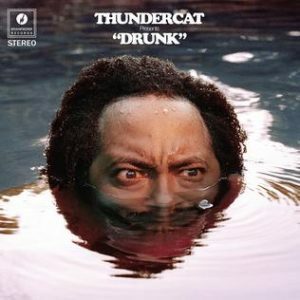 But that is not who Thundercat is. It’s the self-deprecating, self-aware mockery of his behavior and his generation at large that allows this bass playing virtuoso with both a sometimes potty mind and snarky humor, the latitude to be creatively weird and so much more compelling as an artist. While constantly pushing the middle of contemporary music… all the way left. So with the release of Drunk, his third studio album to date, we are treated to a musical display of Thundercat unrestrained delight. From serious jazz-fusion moments to retro-futuristic pop manifestations. Space boogie thump and yacht rock AOR to boot. For anybody else, this “grouping” would be a bad look. But Thundercat, who understands that genius talent is best absorbed when cracking jokes at the genius, pulls off this multi-directional sonic bouillabaisse… while inferring how sobriety is a good look. Operating as both an installation in sound… and a singular patchwork of an eccentric groove. 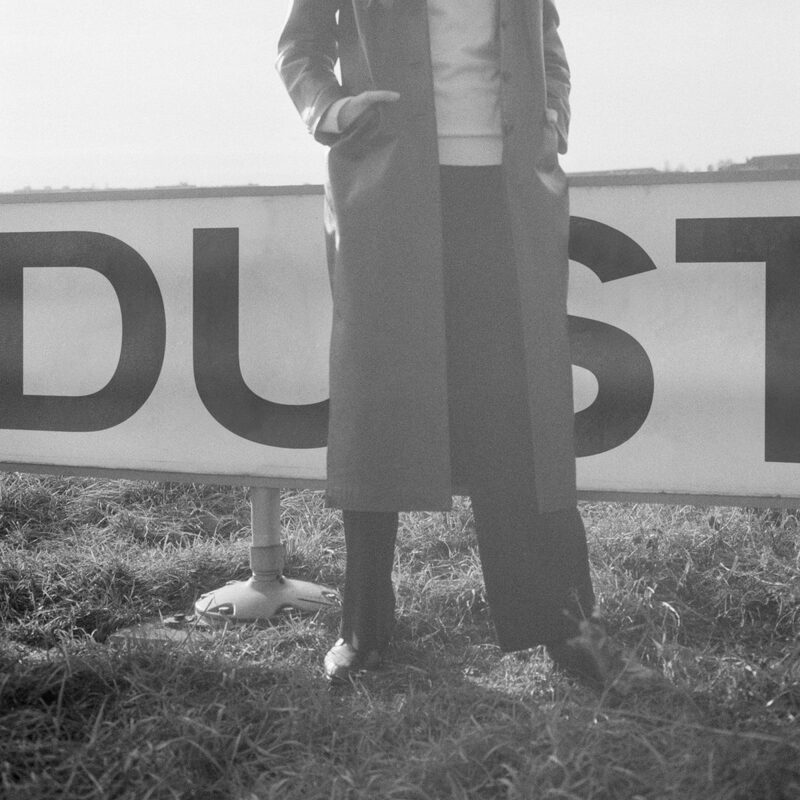 Dust, by Berlin-based producer Laurel Halo, is an eleven-song fever dream transmission that refuses to be pigeonholed. This release seems more concerned with the abilities of the voice, many of them in fact, and their capacity to frame stories as the device to deliver music. These voices triangulate around Halo’s jittery audio-verse. Less confident or inexperienced producers would overexpose this sound design by riding it non-stop. But Halo wants you to think. Be moved. Deviate from the expected algorithm. So she scratches, itches, draws, scribbles and then erases with voices, vinyl record manipulation, organ snippets, and unorthodox snare kicks and song breaks. Procuring a layer of sound that operates similarly to an outer space conveyance…This finely woven cacophony of aural textures and oblique frequencies are constantly renegotiating all the abilities that sound can offer. 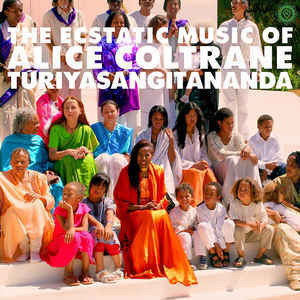 In 1983, Alice Coltrane had established the 48-acre Sai Anantam Ashram outside of Los Angeles. She quietly began recording music from the ashram, releasing it within her spiritual community in the form of private press cassette tapes. These recordings capture Alice singing and chanting for the first time in her recording career, which dates back to 1963 and includes appearances on six John Coltrane albums, alongside Charlie Haden and McCoy Tyner. There has always been a spiritual part to her compositions, but this release showcases the prime directive of a teacher sharing a specificity of great light to her congregation. The full-tilt Bernie Worrell showcase on ‘I’ll Be With You’ is an extended listen to really understand the genius behind his entire legendary keyboard driven excursions. Here, we get to have two to three minutes of Worrell just running… lording jazz, R&B, and classical phrasing on an acoustic piano. Proving again that technology is merely an enhancer. Talent is always the first innovator. The Awakening is a stately and regal deep dive into the revolutionary way that Ahmad Jamal transformed his trio into a versatile unit that was able to sound like a freight train in one moment and then as quiet as a church on a Monday morning. Beyond jazz, “The Awakening” lived a second life by being an influential well of ideas for the golden age of hip-hop. Whether it is producer No I.D. lifting a precise riff from Jamal’s rendition of “Dolphin Dance” to give Common‘s “Resurrection” its trademark swing or Pete Rock lifting the heavy-hearted pattern from “I Love Music” for the Hip Hop classic “The World Is Yours” by Nas, just to name a few….. While taking residence as a keyboard player, vocalist, and song contributor in the short-lived post-punk quartet The Necessaries, dance music innovator Arthur Russell anticipated the future of NYC downtown dance rock machinations. 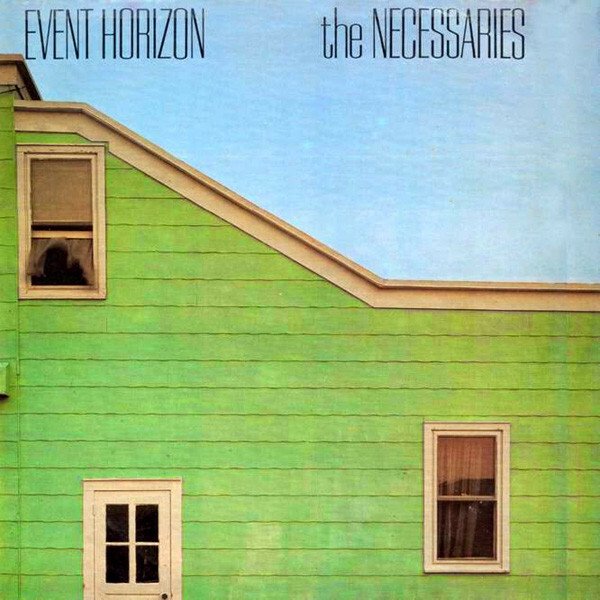 Fronted by the muscular guitar of lead singer Ed Tomney, the band was rounded out by Ernie Brooks (The Modern Lovers) on bass and drummer Jesse Chamberlain (ex-Red Crayola). As with a great deal of Event Horizon, Russell and famed producer, Bob Blank, committed destiny to tape. With the muffled spoken-like presence on “Driving and Talking At The Same Time” pushing the forlorn lyrical mood, Russell summons his exact inner metronome to build this infectious sway that is set impeccably within a searing power pop/new wave encasing. “More Real” is a mid-tempo lament that garners placement on a mix tape just before “When You Were Mine” by Prince. And “Sahara” is a wonky “good type of cheesy” statement that reflects the post-disco repositioning of mainstream rock that was embodied by the band Kiss. When glimmering constructs such as these fell on deaf ears at Sire Records, Russell quit the band. Jumping out of the van at the mouth of the Holland Tunnel in New York, while on the way to an important gig. 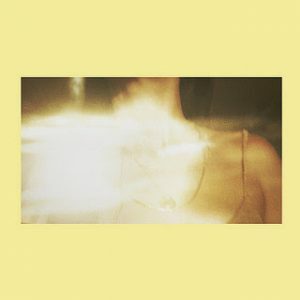 Real Low (B-Sides), from Ramona Gonzalez aka Nite Jewel, is the sonic bookend to her career-defining Real High released earlier this year on her Gloriette Records imprint. 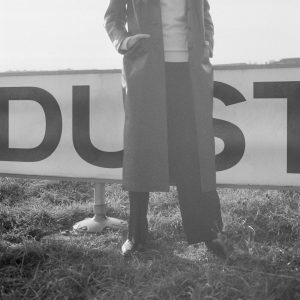 Low, a ten-track release of demos, alternate versions, and previously unheard material, defines the often-used word cloud phrase from the 80’s. Reduction, not production. By releasing this sound exoskeleton of ideas, we are able to recognize the many directions Gonzalez can take synth oriented structures. Funk, experimental electronic music, new wave, or Janet Jackson 90’s r&b. It makes no difference. Nite Jewel constantly retains our attention. 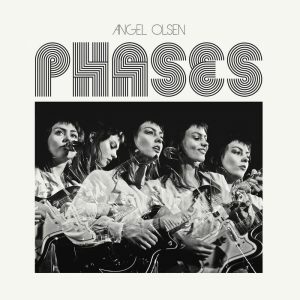 Angel Olsen’s Phases, a B-side and rarities compilation deep-dive for adoring fans and newbies alike, does not require a prior knowledge of her work in order to be intrigued. Phases may be a holdover holiday campaign coming off the success of her My Woman release in 2016. This 12 track golden nugget is culled from the past several years including a number of never-before-released tracks. Phases goes farther, darker, and in some respects, weirder than her earlier work. “Sweet Dreams,” the only uptempo song here, finds Olsen channeling her ideal Patti Smith fierceness with just a touch of vulnerability in the ensuing vocal shouts. With the straightforward Johnny Cash dryness of “California” we find Olsen flexing her muscle using this flutter twitch yodel which gives off various hues of colors expressed through singing just one word. 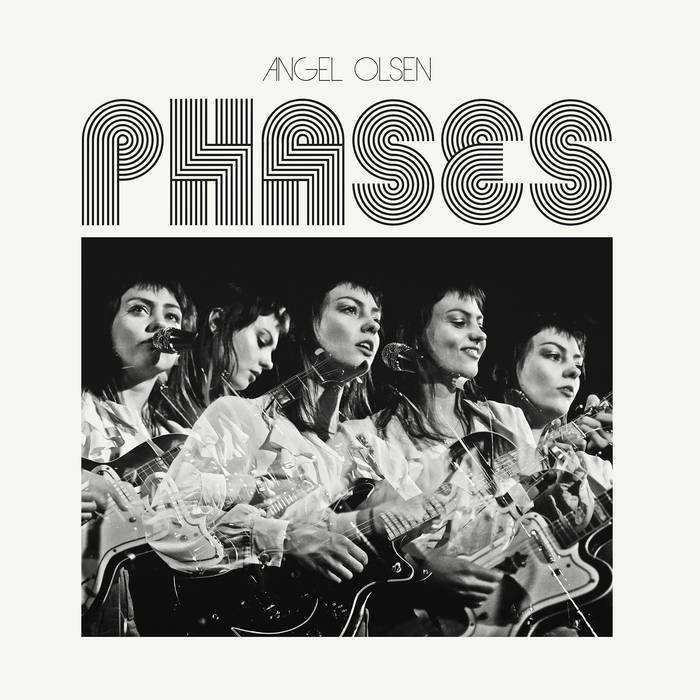 Phases provides a level field for all fans, experts or pedestrian, to mill about and find the version of this chiming voice they call home. Pretty soon after joining the Ghostly Label in 2015, Chester Raj Anand aka Lord RAJA joined label mates Shigeto and Heathered Pearls for an extensive European tour. 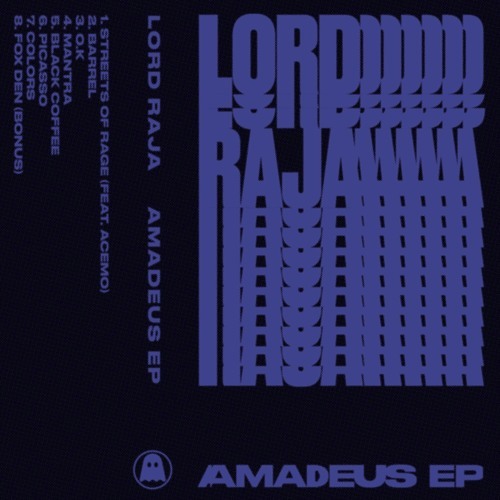 RAJA’s 8-track Amadeus EP, equipped with chunky synth lines and ungainly drum machines that just won’t quit… traverse the spectrum from b-boy park moves to dark & very boisterous Detroit techno. 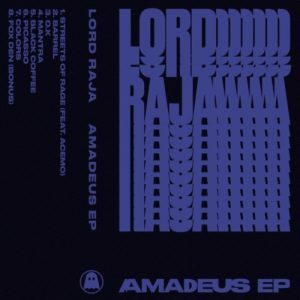 Amadeus EP in whole works as a pro-active reminder of how the term “minimalism’ has become a vague euphemism for vanilla. On their début expedition as Astral Walkers, AYBEE and Lars Bartkuhn produce house music compositions that merge dubious elements from various genres and styles in electronic music. The percolating rhythms that run throughout the EP pay silent tribute to the Body and Soul era of house music, while certain melodies acknowledge the unruffled spirit of atmospheric drum and bass. These two Berlin-based artists, fearless with their “open-ear” influences and approaches, choose to dive deep. Lars Bartkuhn and AYBEE met at an impromptu jam performance at the XJAZZ Fest in which the seeds were planted for further collaboration. Both worked in tandem on drum programming, vocals, and synths, with Bartkuhn also contributing guitar, piano, Rhodes, and live percussion while enlisting the jazz/ rock bassist Helmuth Fass on bass. AYBEE, the multi-platform artist from Oakland, California and current Berlin resident is the founder & chief alchemist at the Deepblak imprint. Bartkuhn is best known for his work with his iconic Needs Music imprint, where he has won an ardent following for his blending of contemporary electronic sounds with jazz, classical, and funk. 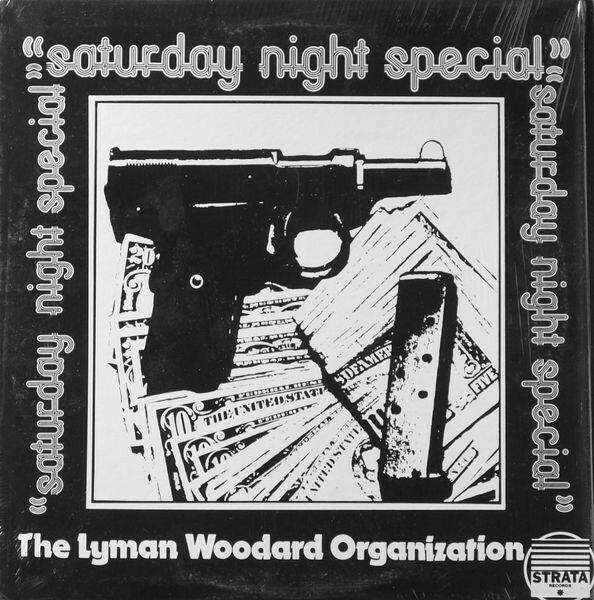 It’s no coincidence that the album cover for Saturday Night Special by The Lyman Woodard Organization bears the image of cigarette papers, cash, and a pistol. Recorded in 1975 and reissued by Wax Poetics in 2009, this album is aptly regarded as a jazz fusion classic. The photo is composed of articles found in bandleader Lyman Woodard’s pockets that are placed on a hotel bed after a show that presumably took place in his hometown of Detroit. Woodard, who recorded with a number of Motown acts, and served as musical director for Martha and the Vandellas in the late ’60s scores a stark and grimy pearl with his “frank” keyboard phrasing on the single ‘Saturday Night Special’. It’s a bittersweet city anthem that reflects walking the streets of any metropolis just before six am. The record’s sparse and muted production value, a brilliance that inhabits each song on the release, personifies the “need what I need” artistic aesthetic.